My Body And Me Personal Development Courses for Women, are delivered as bespoke in-house training online 1-2-1 coaching and private workshops. Themes on the day include - How to build self confidence and self esteem, improve communication skills, increase motivation and develop positive personal impact.
" A really enjoyable Course; topics from communication to body image, refreshingly different... felt that my spirits had definitely been lifted." Terry Neason. Terry entertains and enlightens with powerful tips and techniques relating to Self Confidence, Effective Communication and Personal Impact. "Terry lit up the conference with a thought provoking session on personal impact, communication and self awareness; a virtuoso performance using humour,poetry and song... truly inspirational stuff!" Terry Neason as someone who has a clear ability to work effectively with staff and young people and help lead them to success." Your venue and group of up to 8 ladies. 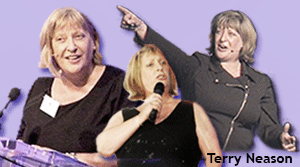 Learn best Public Speaking Skills and audience techniques on this group training with inspirational female Speaker and award winning Performer, Terry Neason. "The advice on language, posture, dress, slides, breathing and delivering with emotion and conviction was spot on." Terry Neason provides Personal Development Courses, Soft Skills Training and 1-2-1 Coaching in London, Milton Keynes & Glasgow UK. Terry has over 30 years experience of providing Services to Business, Health and Education. Need an inspirational Female Speaker? As well as Workshops for groups, we deliver Women's Personal Development Courses as bespoke One to One Coaching and Online Coaching via the Internet. With these bespoke 1-2-1 Courses, you choose the aspects you want to work on. "This was a terrific experience which was fun, unique and I took from it new tools which have helped deflect negativity, improve relations and be more productive." "I learned more in 2 brief sessions with Terry than in some weeks and months spent on other courses. She's the very best." "A really enjoyable Course; topics from communication to body image, refreshingly different... felt that my spirits had definitely been lifted." "I was a bit nervous about coming along but I've gone away with a lot of good techniques - definitely got things to help with my positivity and self-esteem." "Loved your My Body And Me session - it was entertaining, powerful, thought-provoking & empowering." My Body and Me Women's Personal Development Courses. This is more than how to build confidence and self esteem. You will revive yourself, make positive changes and develop effective interpersonal skills. Enjoy these motivational sessions; develop personal resilience, assertiveness and communication skills to improve relationships at home and work. Before you ask, there is definitely no tree hugging, lycra leotards or sitting in a circle with flowers in your hair. My Body And Me Women's Development Workshops are down to earth, friendly and informal. Take away great tools and techniques to enable and support personal growth and well-being. These sessions are delivered as Bespoke In-house Training and Do It Yourself Private Workshops. This private Small Group Workshop is very popular and has a more intimate and informal atmosphere. This is a perfect session for you, especially if you feel more comfortable being with a smaller group. You bring together your own group of women; family, friends or colleagues and My Body And Me comes to you, to your venue. For those who say, I'll do it one day. There's only seven days in the week and none are called one day. "I want to be more assertive." "Everyone takes me for granted." "I want to stand up for myself." "Could do with more confidence." "I want to feel more positive." "Fear of failure holds me back." "I think self improvement is important." "I'm keen to learn self-help techniques"
"I enjoy learning new things." "Kids have grown and gone, what now?." "Life seems to be passing me by." "Feel like I've lost a part of myself." "I'm under pressure at work." "Don't get it, I'm usually more capable." "Things could be better at home." "Want to express myself clearly." "Want to improve my relationships." "I need good people skills for work." Thank you to these Delegates and all the other wonderful women who have attended our Women's Courses over the years. Bespoke Workshops are delivered in Glasgow, London & Milton Keynes. "Many commented on how they came away with new ways of boosting their confidence, and new awareness on how they communicate with others in the workplace and in their personal lives." "I loved the whole day. It's made me realise there's so much more I can do in my life... lots and lots!" "Just wanted to let you know how much I enjoyed last week's workshop. I left the workshop with confidence, self awareness and tools to make a difference in my day to day life. "A fabulous day, learned several things that are really going to help me; especially with pitching and public speaking." "This was a terrific experience which was fun, unique and I took from it new tools which have helped deflect negativity, improve relations and be more productive in the modern workplace." This Personal Development Course is delivered via Skype Video Calls and Facetime. "The video calls were clear, focused and communication was excellent. I would recommend the video sessions to anyone. Getting trained in the comfort of your own home is brilliant." 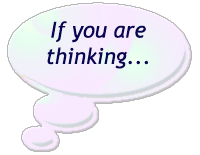 *** Please note that In-house Training is only delivered to Companies & Organisations.